Welcome Friends, to the Buffalo Stamps and Stuff Monday Idea. 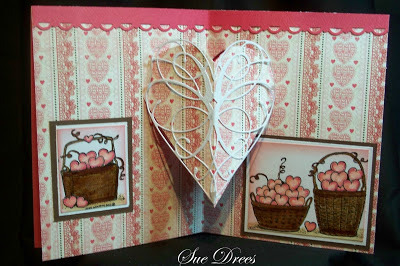 This weeks idea is a POP OUT HEART. Since Valentines Day is this week, thought we could offer one more sweet Valentine Idea. 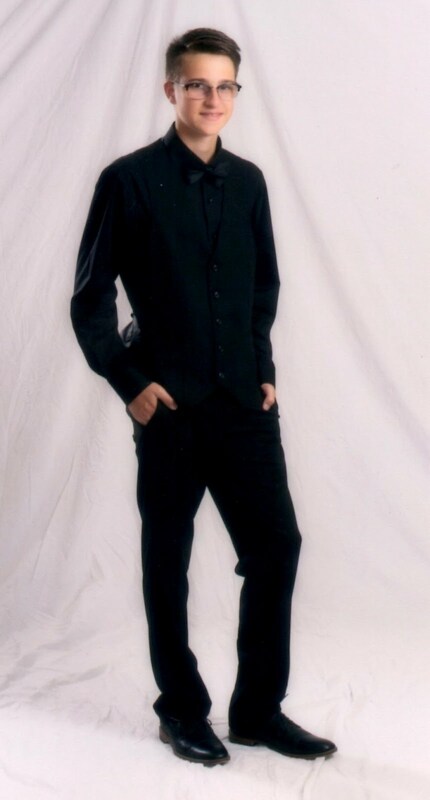 But, you could use this for other occasions too. I found this idea on Paper Craft Planet and there are instructions too. The front of the card. 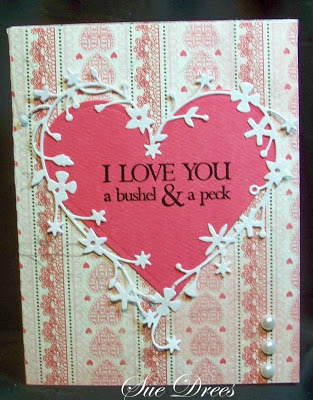 This card is made with Authentique Paper from the Lovely collection. 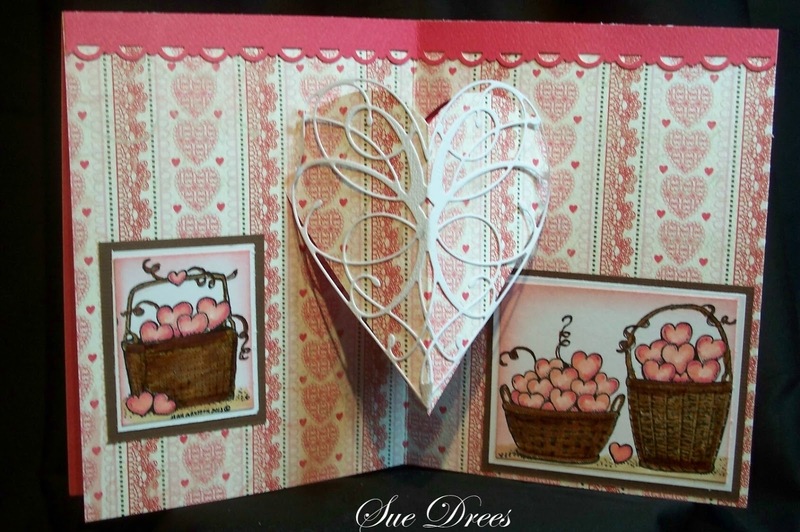 Spellbinders Classic hearts die, and the Bingham Heart-Memory Box 98499. Three white half pearls from Kaiser. The entire card is made from an 8 1/2x11 sheet of paper. The inside of the card. I cute up the image from Northwoods, 08946. All three baskets of hearts are on one stamp. Colored with Copics. and it shows through the opening. This card could not be easier, and don't you just love cards that move! Hope you have a chance to make one for someone special. WOW!!! This is stunning Sue. I really love the design both inside and out. The colours and details are gorgeous too. wow wonderful card Sue. love the die around that heart. This card is just gorgeous. I love the shades of pins and your hearts are just beautiful. Those baskets are darling and colored so nicely. Another winner, Sue. Have a good day. I loved your last post with Keeya playing in the snow. Wow, fabulous pop out card, gorgeous work and I love the heart! Wow what a surprise inside this Valentine. You are so talented. I love it too!